For a printable PDF version of this self-test, click here. 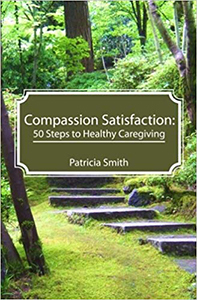 As caregivers, we are often stressed and don’t know why. Without realizing the effects that life circumstances have on us, we tend to sweep our feelings of frustration, sadness, and turmoil under the rug. In the past 12 to 24 months, which of the following major life events have taken place in your life? Fill In the points for each event that you have experienced this year. When you're done looking at the whole list, add up the points for each event and check your score at the bottom. This scale shows the kind of life pressure that you are facing. Depending on your coping skills or the lack thereof, this scale can predict the likelihood that you will fall victim to a stress related illness. The illness could be mild - frequent tension headaches, acid indigestion, and/or loss of sleep to very serious illness like ulcers, cancer, migraines and the like. 150-299: Medium susceptibility to stress-related illness: Learn and practice relaxation and stress management skills and a healthy well life style. 300 and over: High susceptibility to stress-related illness: Daily practice of relaxation skills is very important for your wellness. Take care of it now before a serious illness erupts or an affliction becomes worse.